L.A. Guns was always one of my all time favorite sleaze heavy rock bands of the golden era of this particular scene. L.A. Guns along with Motley Crue, Poison and Guns N Roses (to name a few...) were bands that ruled the airwaves back then. The band's 'dirty', sleaze and punkier sound made L.A. Guns one of the top acts and achieved to gain a wide popularity. Their debut opus back in 1988 was and still remains a classic, no doubt about that. "Cocked And Loaded", "Hollywood Vampires" and "Vicious Circle" are all great records in my book. After that, the band released some average, for their standards, albums till' their widely praised comeback opus "The Missing Peace" in 2017 through Frontiers Music s.r.l. Nowadays, L.A. Guns is back with the brand new "The Devil You Know" record. From the first spins of this new baby, I have to say that is about a solid album all the way. I have the feeling that in "The Devil You Know" the band tried to bring back the sound of the first couple of releases and at the end the final result is overall great. The sound here is rawer, edgier and the guitars are 'smoking'!!! The first couple of tunes that kicks-off the new opus, "Rage" and "Stay Away", are both riff-tastic, powerful and bring back the band's earlier sound in full power. "Loaded Bomb" is sleazier and sounds like it jumped out from the "Cocked And Loaded" album. The groovier "Going High" is a good one while in "Don't Need To Win" we have yet another killer track out of the new record. More straight forward rocker this time with a huge and feel-good chorus line enough to make you wanna turn up the volume on 10 and sing-a-long!!! Another interesting moment is without any doubt the tune of "Down That Hole" that the intro riff reminded me a bit of Lenny Kravitz's works!!!! L.A. 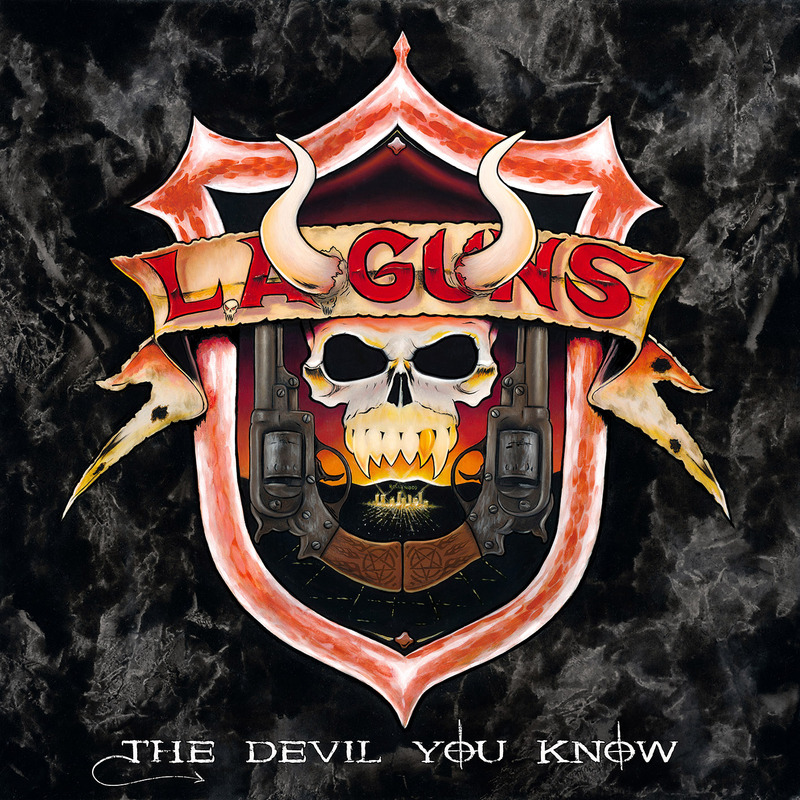 Guns with "The Devil You Know" are back for good with their guns loaded!!! Classic L.A. Guns with edgy guitars, attitude, killer songs and with this late 80's, early 90's, vibe in it!! !